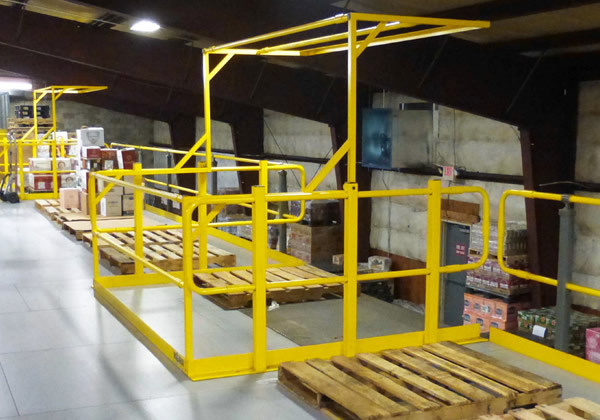 Designed for maximum installation flexibility, Wildeck’s innovative Pivot Safety Gate will protect open areas on mezzanines, elevated platforms, balconies, and rack systems during loading and unloading of your material. 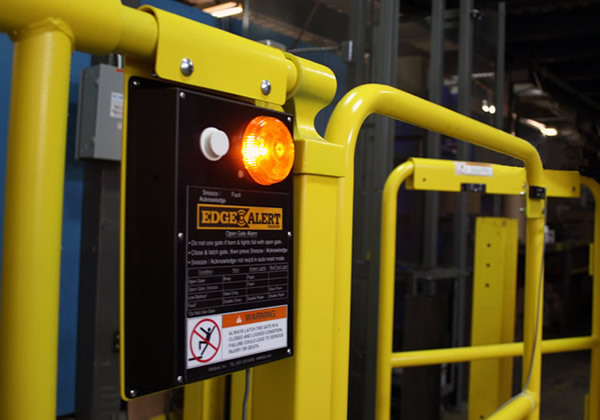 Designed for smooth and reliable operation, Wildeck’s Pivot Safety Gate can be cut-to-width at your facility for a precise, custom fit. 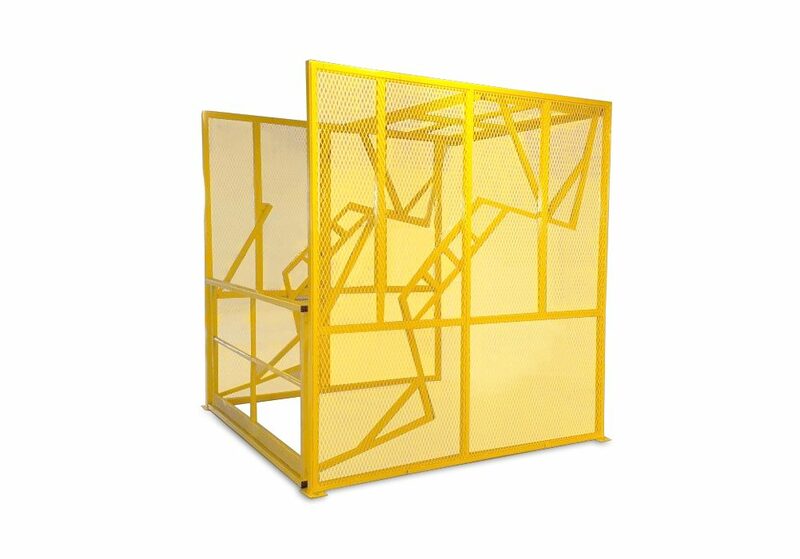 No other safety gate provides this level of installation flexibility. 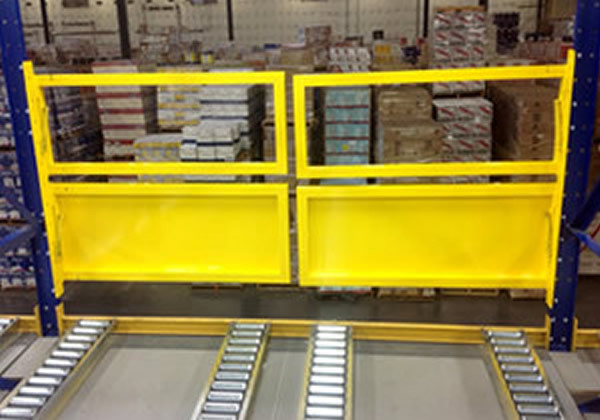 With its perimeter railing and integral kickplate, loading and unloading areas can now be fully protected, reducing accidents and injury from falling material. 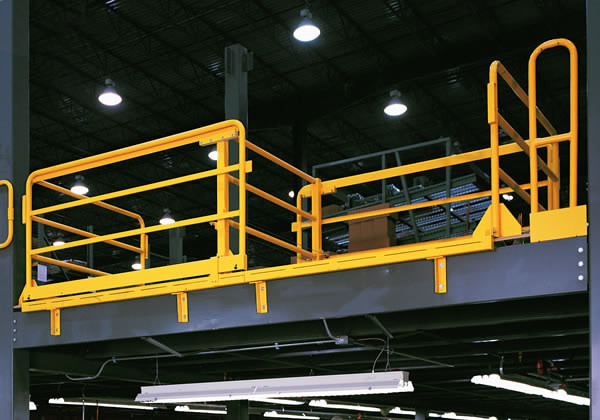 Pivot gate railings can also be easily connected to most Wildeck mezzanine railings to provide a seamless barrier. The pivoting gate design simplifies operation. 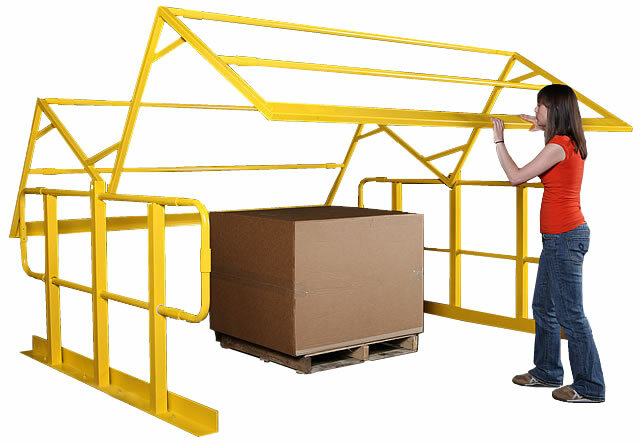 When one side is raised, the other side closes, allowing quick, convenient and safe access by forklifts and facility personnel. 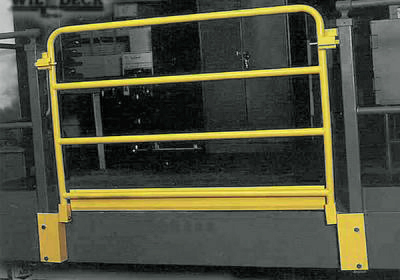 Whether your opening is narrow, medium, or wide, everything fits with a Wildeck Pivot Safety Gate. Unique Cut-to-Width design (10 ft to 3 ft) adapts to your application requirements. 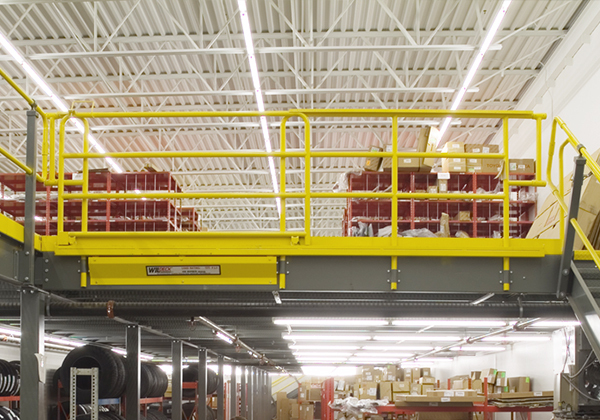 Side rails can easily connect to most Wildeck mezzanine railings for a seamless barrier. 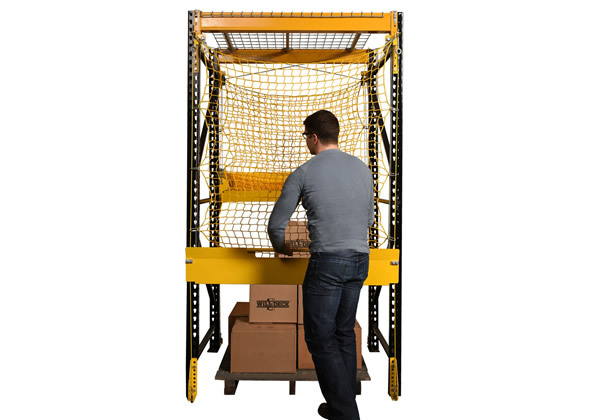 Strong, balanced construction allows easy lifting and safe gate operation. For safety, when one side opens the other closes. 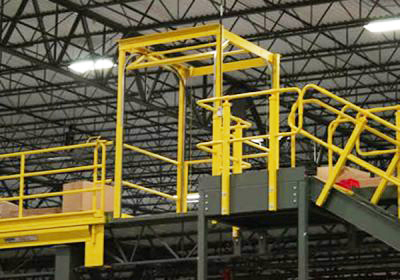 Integral kickplate keeps objects from falling off mezzanine or platform. 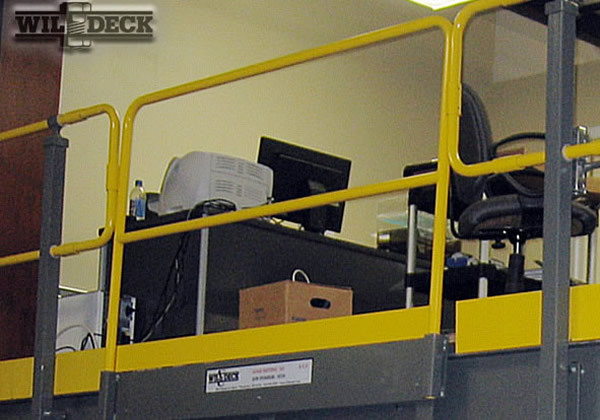 Quality Wildeck design provides easy installation and reliable service life. Meets IBC codes as well as OSHA safety standards. Painted Safety Yellow for high visibility. I wanted to make sure that we had complete protection for our exposed edges for all of our employees. 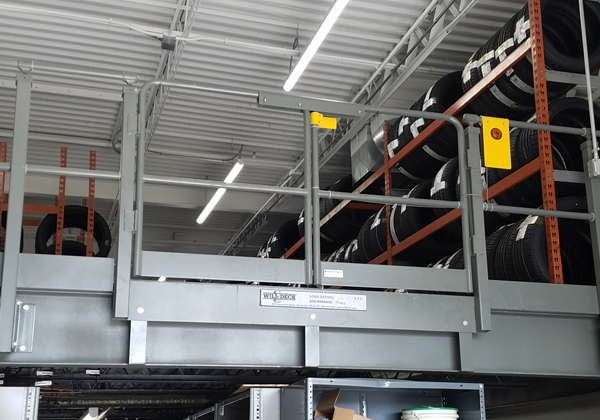 We went above and beyond the OSHA requirements and installed Wildeck products that protect the exposed edges, protect our employees and provide the access we need to get materials into our bay.